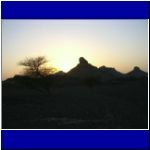 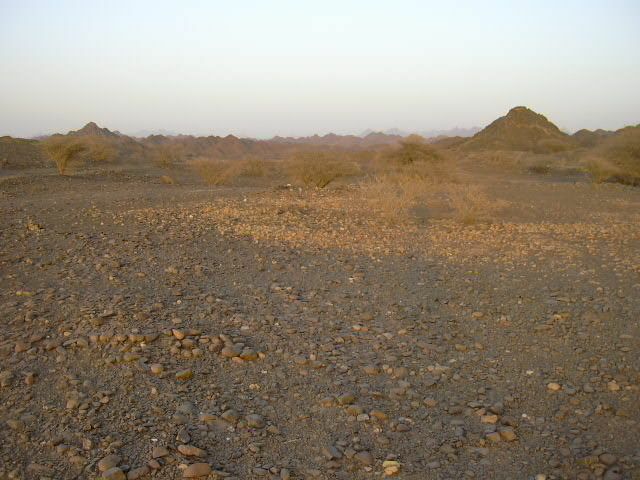 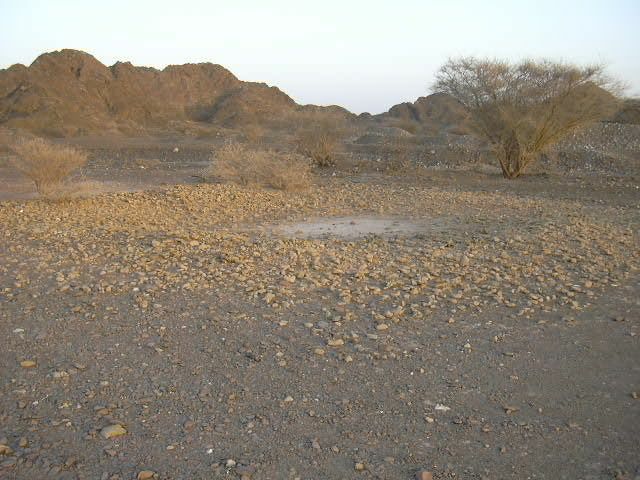 Smelting sites are relatively common in the mountain oasis communities we visit between Wadi Sharm and Wadi Jizzi. 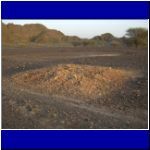 At Nuway, several of the smelters have features different from those we find elsewhere. 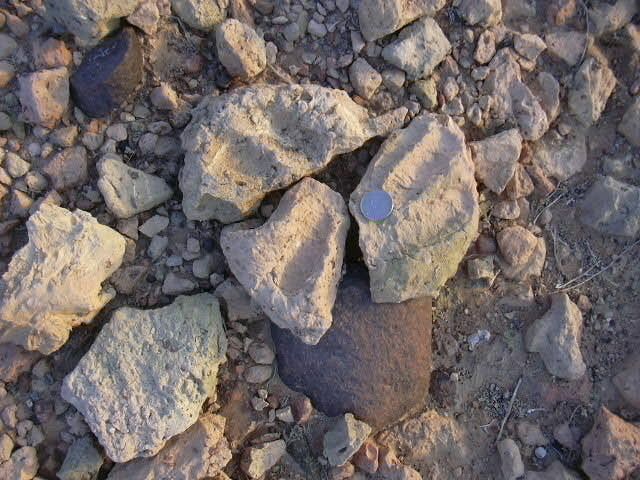 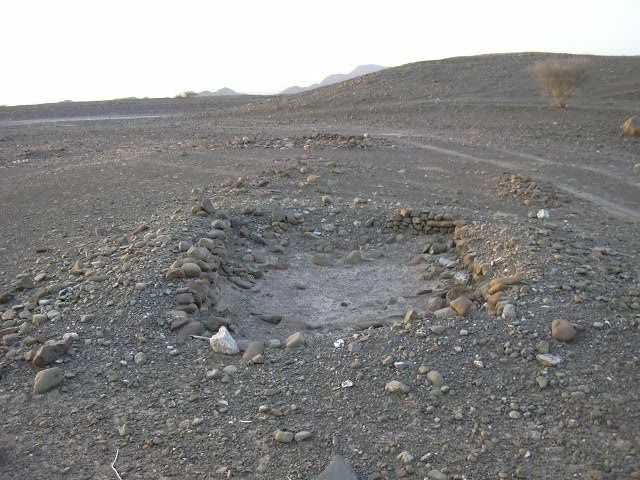 There is a smelting "square" at Nuway as opposed to the circles we find elsewhere, especially at Khutwah. 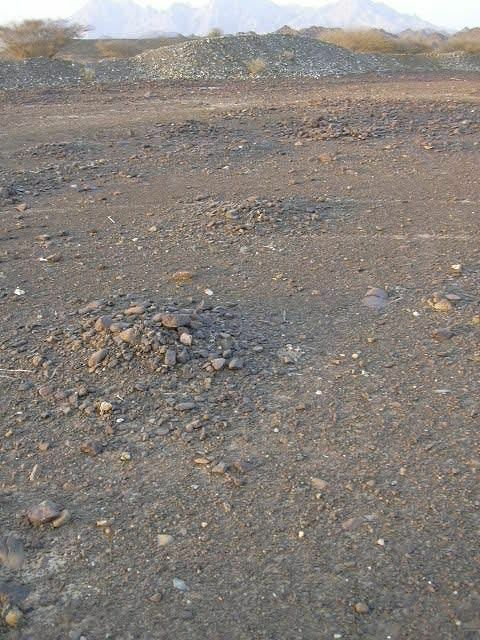 In addition, rather than depressions around which debris is scattered, at Nuway we find the debris piled into cones. 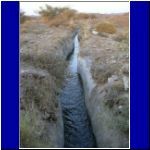 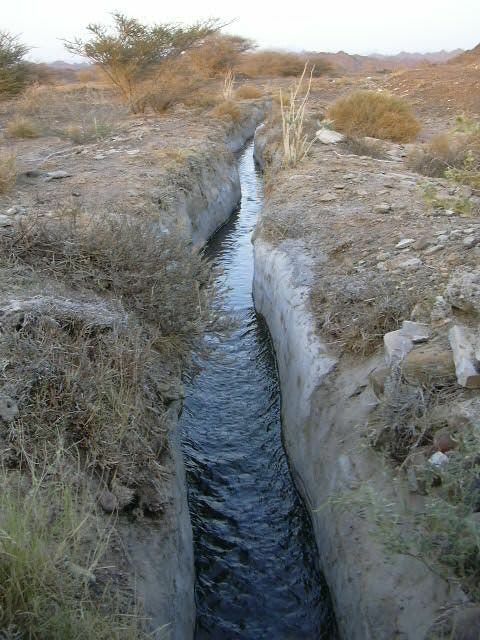 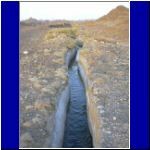 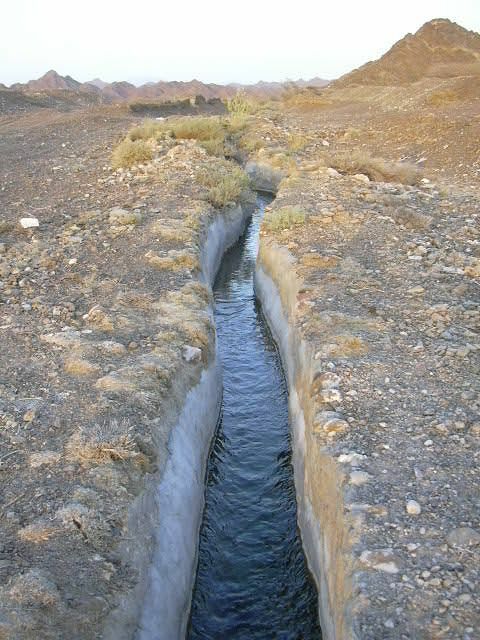 Smelters are located on both sides of the falaj that delivers water from the village of Sharm to the community at Nuway. 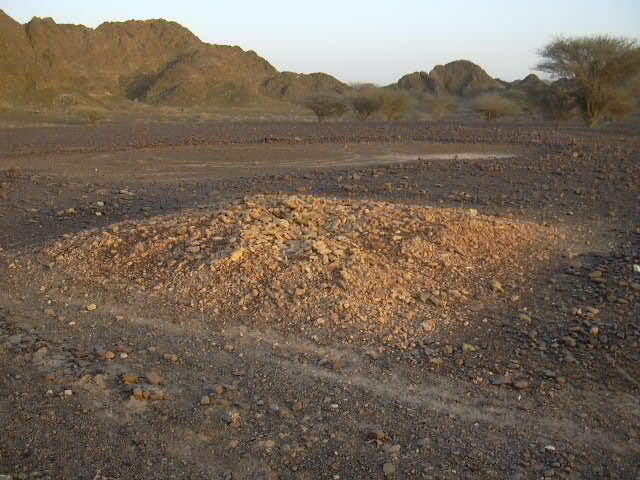 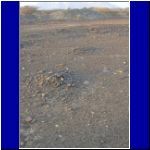 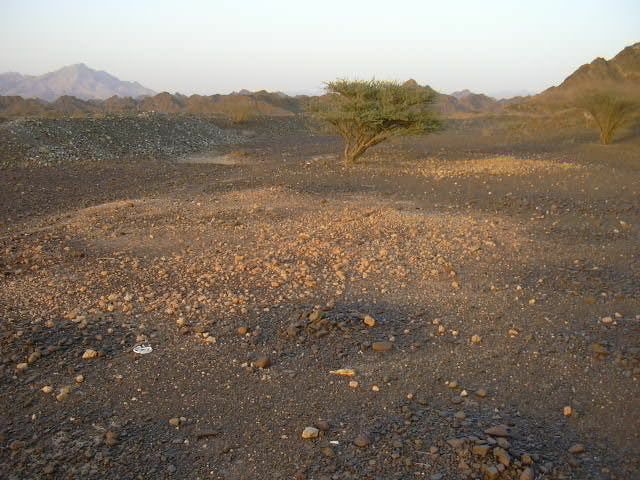 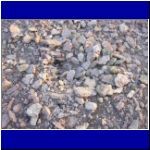 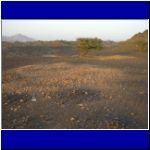 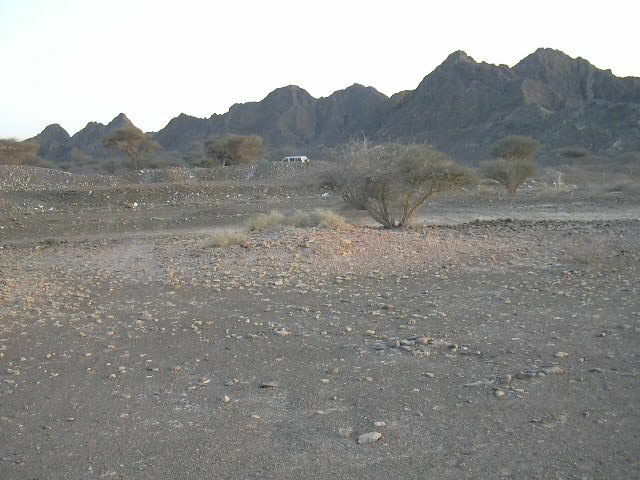 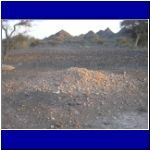 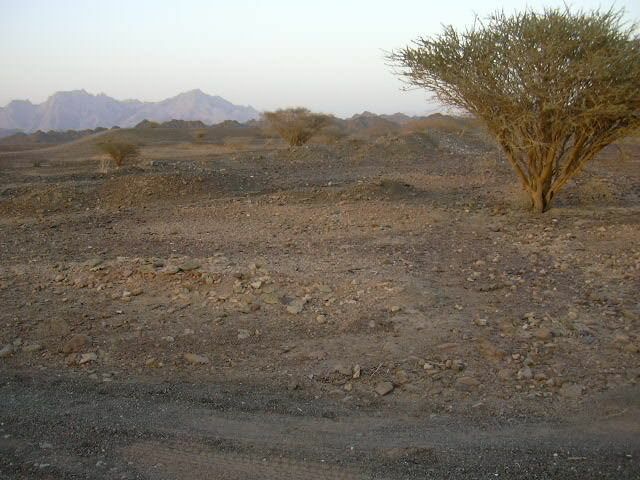 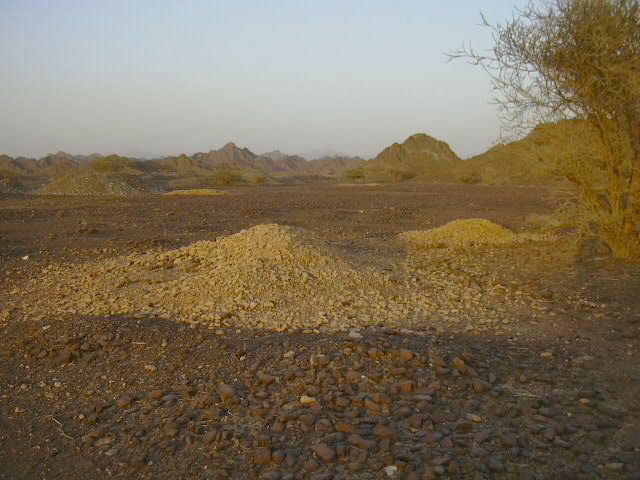 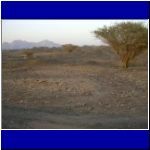 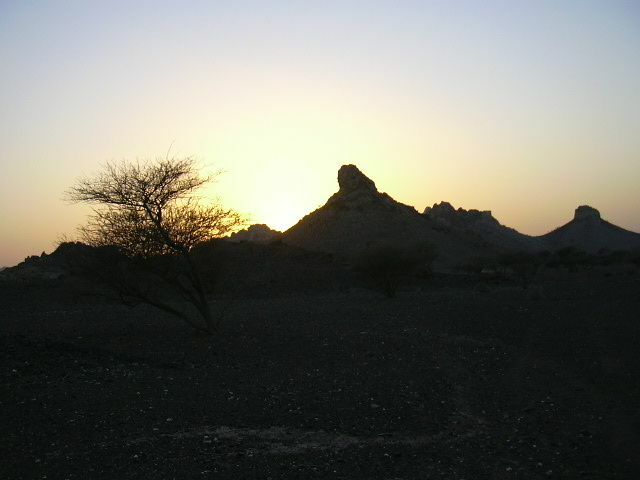 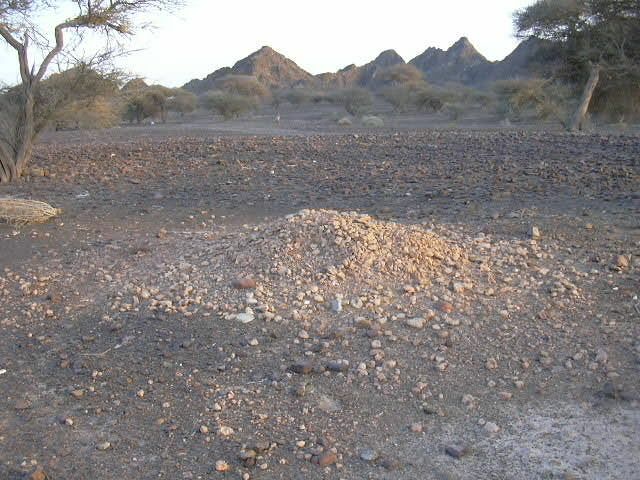 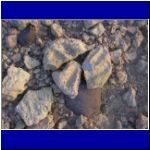 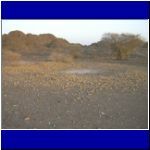 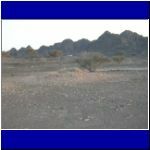 Most of the sites are located on the gravel plain located south of the falaj; on the opposite side, there are large smelting circles and the remains of several houses (bait khaimah). 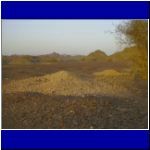 Not far from the smelting remains is another smelting site that has been cut in two by graders building a road down the edge of Wadi Sharm linking Nuway and Sharm. 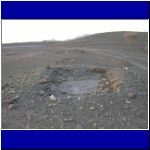 This smelter has remains of charcoal buried amid the debris. 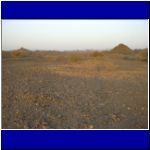 On the opposite side of the track at this location there is a two-walled construction that appears to be a large clay trap. 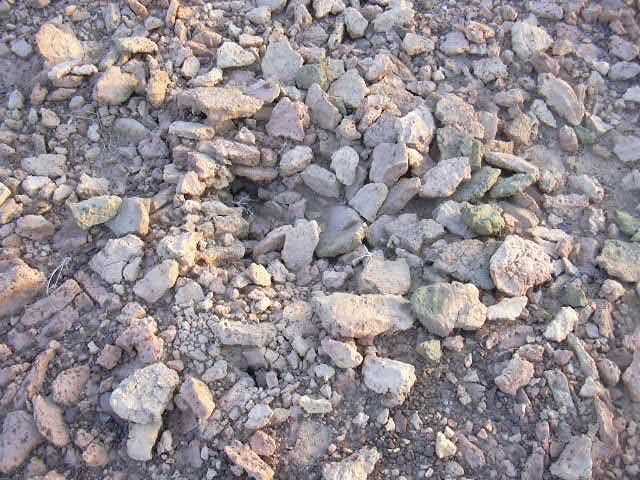 The clay would have been used to construct the mud bricks used in smelting operations and for pottery.